Politics in Perspective . . . My Sunday Comments. 1. Holding on. The Democrats are holding on to the notion that they can make gains off Russia. When the Mueller report comes out, they will seize on certain statements/comments contained here and there in the report. Expect a lot of sound and fury from them and their media. 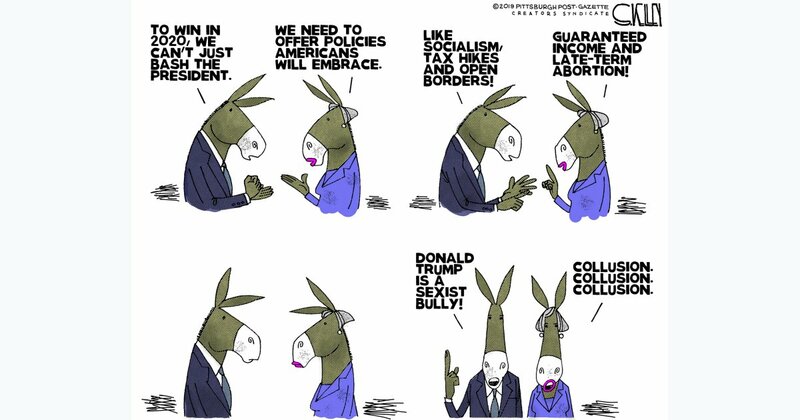 They will ignore the conclusions of no collusion and no obstruction. The steam will come out of their efforts when the Justice Department Inspector General’s report comes out on FISA abuses in the next month or so. It will end when polls show independent voters have had enough. 2. Illegal Immigration. Expect no resolution prior to the 2020 election. Trump’s “we will place them in sanctuary city” play does expose the true thoughts of some Democrats but, barring a major tragedy perpetrated by someone who came or comes here illegally, this is destined to be a divisive campaign issue. The Leader. Bernie Sanders remains the front-runner among the declared Democrat candidates. Expect his fundraising numbers to be the best among the Democrats. Here is why he will win. The Mover. Mayor Pete is the new guy. Historically, the Democrats have been far more receptive to first time candidates than Republicans. The media, looking for a new story, is happy to oblige. Being new is the easiest part. Staying power is another story. Where is Joe? In Joe’s two prior to presidential efforts, he has stumbled out of the gate. He is stumbling now. He is waiting for a moment that will be produce a clean break. The reality will be, however, than he is not a nimble candidate. Read more in my Fox article. Expect Trump to keep that Lead as the Democrats spend every dime they raise, between now and at least next April 1, competing against each other – leaving nothing in by necessity the bank compared to Trump’s war chest.